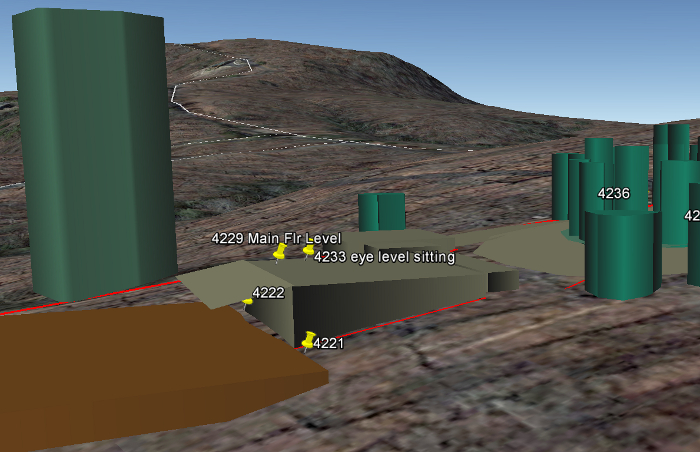 Remote Site Diagnosis™ is a method of HOME ARCHITECTS® using global viewing software to “fly around” your site in virtual reality, then make comments, along with rudimentary screen capture graphics of your site, indicating what appears to be a viable location for your project/ house/ building location. This is offered as an economy priced service to whet your appetite for future possibilities for your project. $395. This is normally priced at $895 and higher. 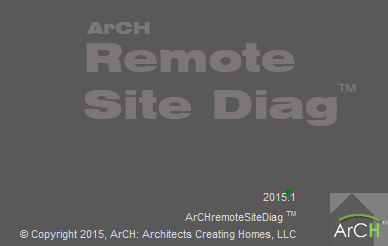 This product provides you with probably the least expensive architectural service on Earth: Remote Site Diagnosis. After paying for this service using PayPal, and sending us an email with the requested information, our company will analyze your property remotely (which does Not include physically appearing at your land), using global earth-viewing software in 3D virtually on our computers in our office, and determine what appears to be the best location for your house or building, entry road/driveway, possible best view orientation, vehicular maneuvering and possible general footprint location using simple tools on the viewing software. We will also create screen captures of these conclusions and include them in a custom report we email to you. This is intended as a preliminary service, which must be followed up with a licensed Architect conducting additional analysis, including your providing a detail topographic survey in a future service, not included in the fee arrangement for this Remote service. However, it is a great first step to get your project started. JUST CLICK ON “ADD TO CART” ABOVE to pay and begin this exciting process. You may wish to click on this webpage to learn more about –> Remote Site Analysis . 1. You pay online using PayPal for the service in advance (click above through the Checkout and Cart process). A. The digital Latitude and Longitude of the corners of your property, or at least one digital latitude and longitude for the approximate center of your land, plus an accompanying PDF of a tax map clearly illustrating the boundaries of your land. B. If you happen to have an AutoCAD DWG of your property, created by a licensed Surveyor, please forward that to us as well. If you don’t know what this is, but you did have a Surveyor do an electronic survey for you, please contact your Surveyor and give them our email address: Rand@HomeArchitects.com and ask them to kindly forward that to us. This must be on one file, not several disconnected files and totally in modelspace (not paperspace). They will understand that. C. Any information you have related to where any existing roads, septic tests (including septic engineering diagrams from your County Health Department), wells, utilities, flood zone perimeters, outstanding views and other features that you know about your property that might impact our preliminary Remote Site Diagnosis. Also indicate on the County tax map (or other images you have that are specific) the roadway and access point from which you want us to indicate the access road to your project location. Make sure you clearly identify the specific entry road access point. Think: “these Architects do Not know where my land is,” then act accordingly to help us find and identify it. It’s a big old world. D. Your contact information, including your full name, mailing address, email address, cell phone number and the address of the land you want diagnosed, if you have that information. If not, identify your property by County PIN (Property Identification Number) and any other means that allows us to identify your land. 3. We will then locate your land on Google Earth and “fly around” it in virtual reality, getting a feel for the lay of your land, potential views, roads and other items. 4. We will identify at least one location that appears reasonable for your project location and will use Google Earth’s crude drawing tools to indicate this possible location, including possible access road to it from the roadway you indicated. We may also indicate some vehicular maneuvering area near the main house/building location. We will indicate what we believe may appear to be a viable good view direction, however, we will need your guidance in advance, to insure that we are in fact angling that to the best view in reality. 5. We will provide a brief report, typically as a PDF, incorporating screen captures from our Google Earth study. 6. We will NOT be providing any renderings, Site Plans, Floor Plans, or any other drawings or services beyond what we are indicating on this webpage. Should you desire more services, please let us know; we will be happy to expand our services and to become your Architect. 7. We will schedule your Remote Site Diagnosis in a reasonable amount of time; usually within a week or two. 8. This is intended to be a swift and simple site diagnosis for a one- building house. If your intentions are for multiple buildings, more exhaustive analysis, commercial or recreational or industrial functions involving anything more than a normal house project, we will need to discuss with you a different arrangement and fee to properly address your needs. For instance: if you need a new road that will be more than 500′ long, through wilderness (some of our full service Clients have roads up to 2 miles long), then we will need to review that and adjust our fee and amount of services to deal with those more detailed circumstances. Also: if there are environmental issues about which we do not know, impacting our amount of services beyond the scope of this limited initial service, we need to know those issues before beginning, as they will very likely require us to charge you more. And the fee indicated is Not enough for us to address shopping malls and other complex projects. We would be happy to expand our services to handle those types of projects, but the fee will have to be significantly higher than we have advertised for a simple, single-structure house. SHOULD YOU DECIDE THAT YOU REALLY WOULD LIKE TO BEGIN WITH OUR FIRM VISITING YOUR PROJECT SITE IN PERSON, THAT IS NOT INCLUDED IN THIS PRELIMINARY REMOTE SERVICE. Then fill out that form and press Send. That will start that other service, in which we WILL appear at your project site in person. Remote Site Diagnosis by this Architect allows them to diagnose your site remotely, using Google Earth. This remarkable service allows the Architect to make some deductions based on information you provide, along with virtually “flying over” your land, seeing what’s there, making deductions based on the visual input. An economical way to jumpstart your project, having an Architect provide you with a clever means of preliminary site analysis.